RALEIGH, N.C. (AP) — A North Carolina man imprisoned for stalking had his conviction overturned Tuesday when a state appeals court ruled the social media posts that prompted the charges were protected by free speech rights. 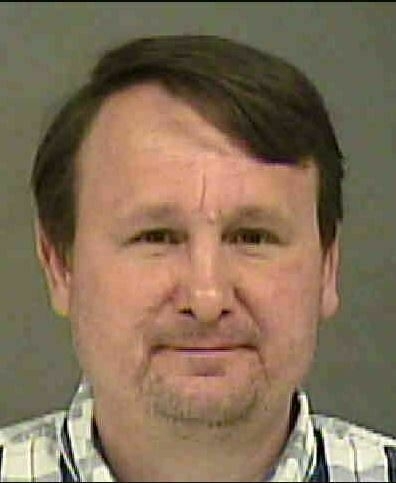 A three-judge panel of the North Carolina Court of Appeals vacated the convictions of 46-year-old Brady Lorenzo Shackelford, who had been sentenced to more than two years for stalking a woman he met at church in 2015. Shackelford repeatedly called her his “soul mate” and future wife in Google Plus posts, and he also sent handwritten letters and cupcakes, despite her turning down a dinner invitation, according to court documents. Shackelford will remain in prison for now because of the lag between when an appeals ruling is filed and when its mandate, or final effect, is issued. State prosecutors could also appeal and ask for him to remain imprisoned. The state attorney general’s office was reviewing the ruling Tuesday, spokeswoman Laura Brewer said. Tuesday’s ruling is an example of the legal system struggling to keep up with social media’s role in stalking or abusive relationships, said Sherry Honeycutt Everett, legal and policy director for the North Carolina Coalition Against Domestic Violence. The case began in April 2015 when Shackelford and the woman, who’s not named in the ruling, spoke briefly before a service at a United Methodist church, according to court documents. Several weeks later the woman, who worked at the church, unexpectedly received emails from Shackelford asking for help with a business plan, offering to include her in an offshore venture and inviting her to dinner. Sensing “red flags,” the woman told Shackelford she couldn’t meet with him, but he later sent five- and seven-page handwritten letters to her home and work addresses asking to take her on a date, according to court documents. She then blocked his account and deleted her own, but he continued to make public posts referring to her, sometimes by initials or a nickname, the ruling says. After the cupcakes arrived at the woman’s office, she notified police and Shackelford was arrested on a charge of misdemeanor stalking. After more postings, the woman obtained a no-contact order in court that prohibited him from putting any information about her on social media. Yet several more posts followed, and Shackelford also emailed her friend, court documents state. Based on the emails to the friend along with social media posts, Shackelford was then charged with felony stalking. A jury convicted him in 2017 on four stalking counts. The difficulty in balancing free speech rights against harmful or intrusive comments was noted in Tuesday’s appeals court ruling written by Judge Mark Davis, who was appointed this month to the state Supreme Court. The two other judges concurred. “As this case aptly demonstrates, difficult issues arise in attempting to balance, on the one hand, society’s laudable desire to protect individuals from emotional injury resulting from unwanted and intrusive comments with, on the other hand, the free speech rights of persons seeking to express themselves on social media,” the ruling said.